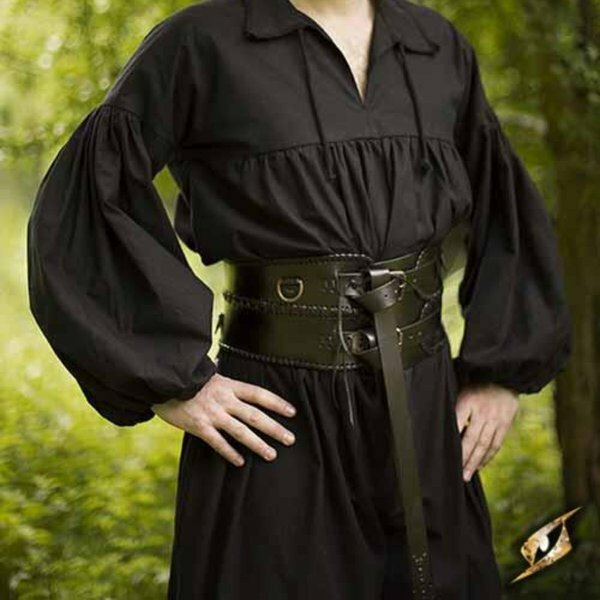 This beautiful belt is made from a high quality vegetable tanned full-grain leather. 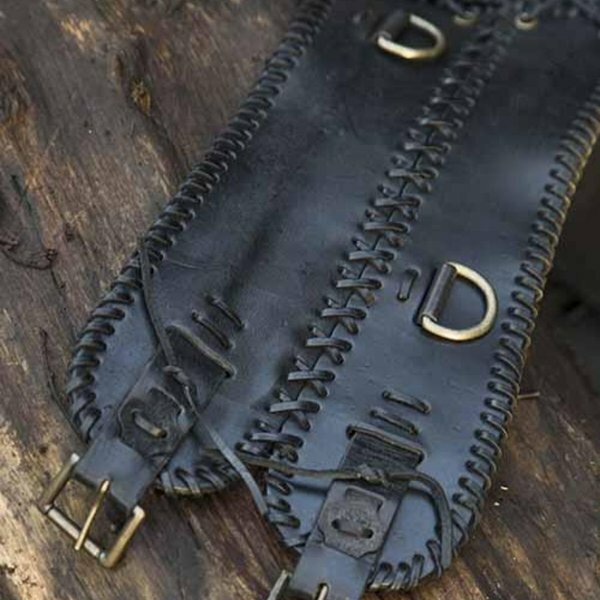 The belt has a hand-stitched finish with leather laces over the entire width and length. 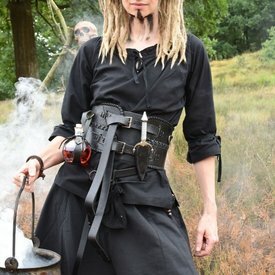 A wonderful accessory for your LARP or Cosplay outfit! 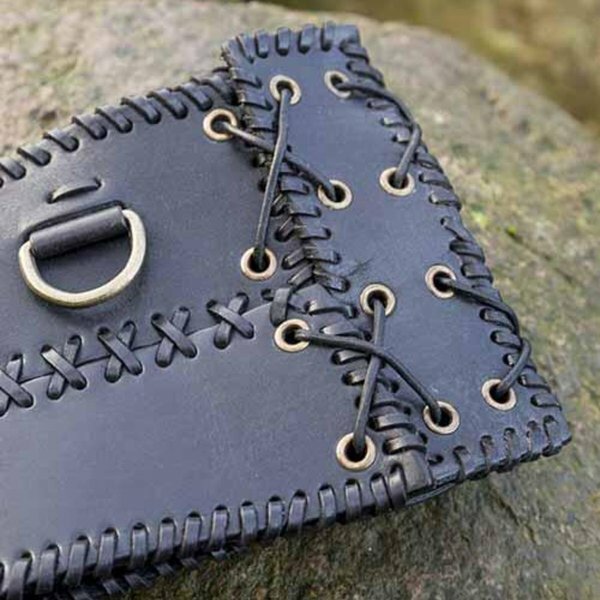 The belt has D-shaped rings on which you can hang various objects to customize your outfit, like knives or potion bottles. The back consists of a, even leather surface with the beautiful hand-stitched finish. 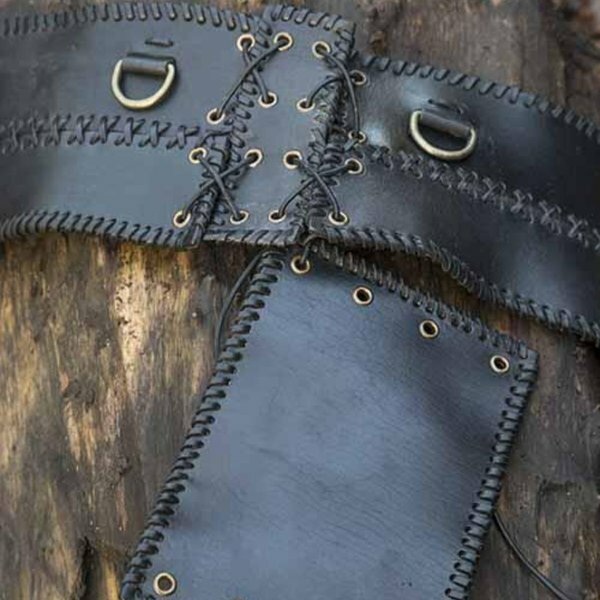 The belt can easily be fastened with the two leather belt tongues.